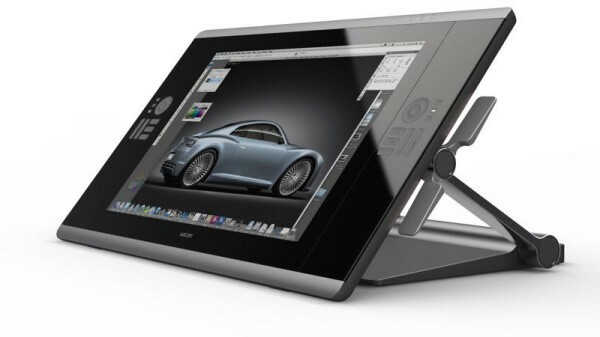 We've been all giddy since the Cintiq 24HD waltzed through the FCC last month... and now, we have even more reason to be excited. Although unconfirmed, signs continue to point to a 24-inch HD display (1920 x 1200 supported) -- upon which Wacom has implemented a stand that appears to allow the user to customize their viewing angle based on the task at hand. According to CG Everything, the peripheral is said to boast 2048 levels of pressure sensors with a 60-degree tilt sensor, 92 percent Adobe RGB color saturation, 190 nits of brightness, 550:1 contrast ratio and a 13ms response time. We're still waiting on Wacom to corroborate all of this, but those who'd rather throw caution to the wind can indulge below.